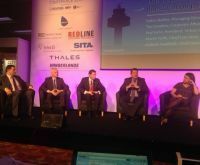 The British scheduled airline aviation industry gathered last week at London’s Hilton Metropole under the auspices of the Airport Operators Association (AOA) with the support of the British Air Transport Association (BATA), Board of Airline Representatives in the UK (BAR UK) and the Royal Aeronautical Society. From the first speaker, Willie Walsh of IAG, on the Monday morning, to the final presenter, John Holland-Kaye, Chief Executive of Heathrow, the discourse was absorbing and topical. The Independent’s Simon Calder hosted the evening dinner (and kept popping up with questions during the daytime sessions) while the moderator, ITV’s Natasha Kaplinksky, preserved decorum by more or less keeping delegates under control. It was a great networking event supported by a small exhibition. While all the major airports were represented, airline senior staff were thin on the ground with platform speakers only the already-mentioned Willie Walsh; Sophie Dekkers, Director of easyjet UK; Bob Schumacher, MD UK & Ireland, United Airlines; and Andrew Swaffield, Chief Executive of Monarch. No high-profile speakers from Virgin Atlantic, Thomson, Thomas Cook, Jet2, Flybe, bmi Regional, Eastern and Loganair in descending output order. Their loss. Virtually every airport of any consequence was represented. Aviation Minister Robert Goodwill made his third appearance at the annual gathering, noting that this time around he had more than 24 hours to prepare his words. Is he in the loop? Mr Goodwill was full of praise for Jet2 highlighting their Onboard Together campaign designed to stop drunken passengers. “Our aim should be to ensure that flying is a safe and enjoyable experience for all travellers, and that flying doesn’t end badly for the careless few.” Lilian Greenwood is the new Labour Shadow Transport Secretary. She is the member for Nottingham South and clearly a very competent lady, perhaps a trifle focused on railways, but clearly happy to involve herself with air transport. Labour has supported the third runway. The Industry Leaders panel allowed senior people to expand on their particular part of a very complicated business. Debra Barber, MD of Cardiff Airport, made it clear that if Scotland chooses to levy a reduced national, APD Wales should do also. However, Bristol residents will have to pay the bridge tax to gain entry to the Principality. 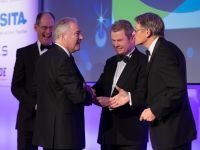 Included were also Tim Hawkins, Manchester Airports Group, Corporate Affairs Director; Andrew Swaffield, Monarch Airlines, Chief Executive; Paul Kahn, Airbus Group UK & Martin Rolfe, NATS, Chief Executive. With Sir Howard Davies’ report published, Stewart Wingate and John Holland-Kaye, respectively chief executives of Gatwick and Heathrow, were kept apart this time around, both making worthy appearances on the Monday and Tuesday respectively. Heathrow Hub was not invited to present but that did not stop the now-patented scheme’s chief advocate, Captain Jock Lowe, making sure his voice was heard. “It is not a new runway and is a great British initiative” was essentially his plea. Holland-Kaye said he would take back a suggestion from the floor that by way of added compensation those forced to move because of the scheme would gain free flights. Jim McAuslan, general secretary of BALPA, is retiring after 14 years. The airlines have had their gripes with him but his appearance at AOA was a step forward for the pilot union and he was forthcoming with his praise for the conference invite. “Without airports there would not be pilots and without pilots there would not be airports” he said. Keith Conradi, chief inspector Air Accident & Investigations Branch, mentioned pilotless passenger aircraft at some point in the future during his fascinating discourse, but BALPA was not mentioned. Aeroplanes without pilots are a long way away. 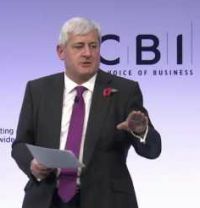 Sir Michael Arthur, president, Boeing UK & Ireland, is a year into the job. The former diplomat, whose career included a stint as the British ambassador to Germany and who labels himself as the company’s “new boy”, was honest about his appointment. “I understand there was long debate in the company about whether the person who followed [my predecessor] should be a similar person or a US expatriate.” Sir Michael took over from Sir Roger Bone, another former diplomat. Boeing headquarters in Chicago clearly find elegant Brits ideal to promote the company. Keith Brown MSP, the Scottish Government Cabinet Secretary for Infrastructure, Investment & Cities, was full of praise for the international expansion of Edinburgh and Glasgow airports, but more reticent when it came to Prestwick, with a gloomy response to a question from the floor over new routes. However, he did promote the south Glasgow airport with its application to be the British spaceport. Cornwall Airport Newquay is also in the race. AOA makes awards every year, presented at the dinner.